Join activists, experts and ecovillagers from across the world for in-depth conversations, skills-sharing and presentations on a wide variety of topics! From rural villages to high-tech cohousing developments, ecovillages are preserving and pioneering ways we can live well and lightly together. As such, they provide ideal campuses for studying everything from indigenous wisdom to appropriate technologies and from social justice to ecological design and political economy. Learn how to create custom study programs in ecovillages by partnering with CAPE and the Global Ecovillage Network. In this webinar, we will showcase a few amazing ecovillages and describe how you can develop custom faculty-led, managed, or excursion programs around the world. There will also be time for Q&A. 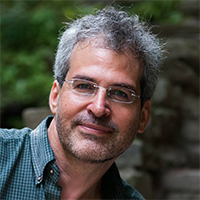 Lead presenter, Daniel Greenberg, Ph.D., has spent over 20 years developing ecovillage-based study abroad programs and has helped over 1,500 students live and learn within these transformative communities. Daniel has also chaired Sustainability Task Forces for NAFSA: Association of International Educators and the Forum for Education Abroad, is co-founder and past Board Member of Gaia Education. Daniel currently serves as President of the Global Ecovillage Network. The Global Ecovillage Network is made up of thousands of individuals and communities all over the world, innovating, rediscovering and implementing regenerative, just and pioneering ways of living together. The Hildur Jackson Award is given to extraordinary projects and exceptional solutions that bring the most impactful inspiration about ecovillages/ecovillage lifestyles into a broad audience. Join us in this free webinar to hear the jury announce this year’s winners, meet the winners themselves, and learn more about their projects and why the jury finds them outstanding. Over the past few years, we’ve seen a wonderful – and ongoing – increase in the number of GEN Ambassadors – people who are spreading the message of GEN all around the world. This is a webinar for skilling up and to consolidate the supportive materials we have developed to assist our ambassadors in their important work. Following up from the earlier session on August 31, we share learnings, insights and inspiration from using the Ecovillage Playing Cards in many different contexts and cultures. The two webinars are intended to complement each other, but can also be attended independently. You can order your own copy of the cards in our webshop, but feel free to join also if you do not already have the cards. What if we did not depend on anyone to assert our own destiny and ensure that nature has its rights protected? Join three activists, change-makers and moving forces of CASA Latina to dive deeper into the activities and creativity of local communities and networks as they prepare for ECCO 2017 – a self-managed conference and Vision Council on the theme of Planetary Resilience. Learn what Latin American ecovillages are doing to address the crisis of representation in business, politics, unions and student circles, and how they bring local, indigenous and eco communities together to create a more resilient future. Learn how to use the Ecovillage Playing Cards to facilitate sessions, explore holistic sustainability and whole systems thinking, and guide groups towards ecovillage implementation! Kosha and Anna have developed the cards and used them in many different locations and settings. Join in to hear them share different creative ways you can use the cards and explore how they are a tool for play, reflection, dialogue, learning, research and design – for individuals, groups, projects, organisations and communities. You can order your own copy of the cards in our webshop. The Social Innovation for Resilient Communities Project and Evoneers’ Journey training for social entrepreneurship has been developed by 8 partner organisations over the past three years (www.sircle-project.eu). Join four members of the project in a conversation about about core elements of the Evoneers’ Journey training and what it takes to design and start a social enterprise and make a living in ways that supports and strengthens what you love. People who live in ecovillages know that life there is often accompanied by deep inner work on how to have a more peaceful co-existence with others. Join Margarita to hear how regenerative ecovillage solutions are contributing to community development and peacebuilding in Colombia. Discuss how we can forward this important work around the world. What is an ecovillage, and what kind of networks exist to represent and amplify their voices? Join the Global Ecovillage Network’s Executive Director Kosha Joubert to discuss what GEN is, what kind of work ecovillages are doing around the world, and how we can help to create a better future. Ecovillages have long been places of alternative living and solutions, but what is their potential and impact beyond the village itself? Hear Sabine and Macaco tell the stories of two of the oldest and most established ecovillages: Tamera in Portugal and Damanhur in Italy. Discuss what the role of ecovillages is, can, and should be in transforming our complex contemporary reality.